MILWAUKEE — Rockwell Automation has expanded the power ranges and capabilities of TotalFORCE technology for its Allen-Bradley PowerFlex 755T AC drives. The drives now offer an expanded power range, helping engineers with applications from 10 to 6,000 horsepower (7.5 to 4,500 kW) improve productivity and reduce their lifecycle costs. The expansion brings harmonic mitigation, regeneration and common bus-system configurations to a wider range of high-demand applications. Enhancements to the patented TotalFORCE technology include more powerful adaptive control capabilities, which allow the drives to monitor machine characteristics that can change over time and automatically compensate for the changes that occur. An adaptive tuning feature uses up to four automatic tracking notch filters to block resonance and vibration that can impact quality, waste energy and prematurely wear out a machine. In addition, predictive maintenance features provide real-time information about the health of the drive. By monitoring operational characteristics such as temperature, voltage and current, the drive is able to calculate the remaining life of critical components and notify users. This allows users to act so unplanned downtime can be prevented. PowerFlex 755TL drive: The PowerFlex 755TL drive uses active front-end technology and an internal harmonic filter to reduce harmonic distortion. The drive is now available from 10 to 1,800 Hp (7.5 to 1,400 kW). PowerFlex 755TR drive: Delivering power from 10 to 6,000 Hp (7.5 to 4,500 kW), the PowerFlex 755TR drive includes both regenerative and harmonic mitigation solutions. The drive helps reduce energy consumption and costs by delivering energy back to the incoming supply, resulting in a more energy-efficient solution. PowerFlex 755TM drive system: This allows users to build the system that best fits their needs for regeneration and coordination of multiple motors in common bus configurations. To optimize their system requirements and meet power-consumption needs, users can select from a series of predesigned modules with a power range from 250 to 6,000 Hp (160 to 4,500 kW) for motor side inverters and a range of 70 to 4800 kW for regenerative bus supplies. Other new capabilities include an integrated safety module that delivers several advanced safety functions on an EtherNet/IP network, an anti-sway feature that helps lifting applications achieve greater stability and permanent magnet motor control for increased energy savings. 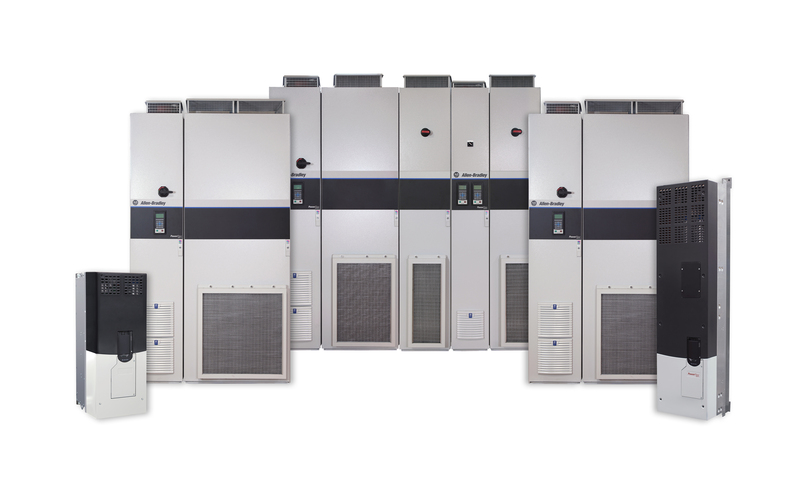 Combined, these new TotalFORCE technology capabilities help reduce time to commission, optimize performance and enable simplified maintenance and serviceability throughout the full lifecycle of PowerFlex 755T drives for a broad range of applications. Rockwell Automation Inc. (NYSE: ROK), the world’s largest company dedicated to industrial automation and information, makes its customers more productive and the world more sustainable. Headquartered in Milwaukee, Wis., Rockwell Automation employs approximately 23,000 people serving customers in more than 80 countries. Allen-Bradley, PowerFlex and TotalFORCE are trademarks of Rockwell Automation Inc.
EtherNet/IP is a trademark of ODVA.